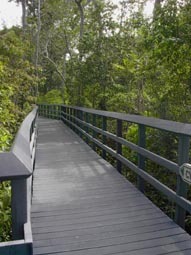 The Cypress Creek Trail is a 1/2 Mile loop through a low Tropical Hardwood Hammock and a Red Maple and Bald Cypress Wetland. 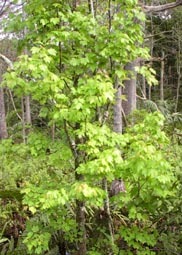 On either sides of the boardwalk can be seen lush tropical growth of native small trees and shrubs. 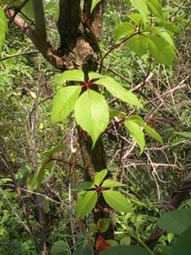 This beautiful climbing vine has an amazing root system. 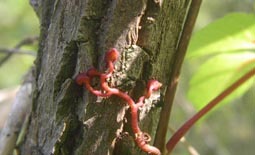 The root tips are actual suction cups that attach to the tree surface ! 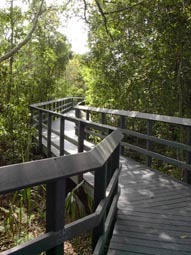 As the path winds on, the elevation decreases as you approach the lower swamp area. 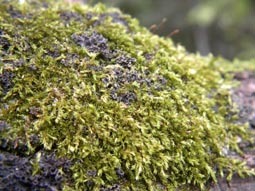 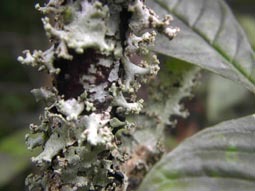 The moist environment in a hammock support the growth of various moss and lichen species.